Do you know Charles Spurgeon? Charles Haddon Spurgeon is history’s most widely read preacher (apart from the biblical ones). Today, there is available more material written by Spurgeon than by any other Christian author, living or dead. One woman was converted through reading a single page of one of Spurgeon’s sermons wrapped around some butter she had bought. Spurgeon read The Pilgrim’s Progress at age 6 and went on to read it over 100 times. The New Park Street Pulpit and The Metropolitan Tabernacle Pulpit – the collected sermons of Spurgeon during his ministry with that congregation – fill 63 volumes. The sermons’ 20-25 million words are equivalent to the 27 volumes of the ninth edition of the Encyclopedia Britannica. The series stands as the largest set of books by a single author in the history of Christianity. Spurgeon’s mother had 17 children, nine of whom died in infancy. When Charles Spurgeon was only 10 years old, a visiting missionary, Richard Knill, said that the young Spurgeon would one day preach the gospel to thousands and would preach in Rowland Hill’s chapel, the largest Dissenting church in London. His words were fulfilled. Spurgeon’s personal library contained 12,000 volumes – 1,000 printed before 1700. The library, 5,103 volumes at the time of its auction, is now housed at William Jewell College in Liberty, Missouri. The New Park Street Church invited Spurgeon to come for a 6-month trial period, but Spurgeon asked to come for only 3 months because “the congregation might not want me, and I do not wish to be a hindrance.” When Spurgeon arrived at The New Park Street Church, in 1854, the congregation had 232 members. By the end of his pastorate, 38 years later, that number had increased to 5,311. Altogether, 14,460 people were added to the church during Spurgeon’s tenure. The church was the largest independent congregation in the world. Spurgeon began a pastors’ college that trained nearly 900 students during his lifetime -nd it continues today. In 1865, Spurgeon’s sermons sold 25,000 copies every week. They were translated into more than 20 languages. At least 3 of Spurgeon’s works, including the multi-volume Metropolitan Tabernacle Pulpit series, have sold more than 1,000,000 copies. One of these, All of Grace, was the first book ever published by Moody Press (formerly the Bible Institute Colportage Association) and is still its all-time bestseller. 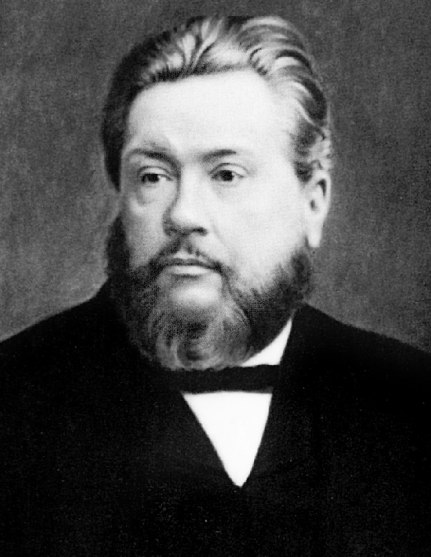 Testing the acoustics in the vast Agricultural Hall, Spurgeon shouted, “Behold the Lamb of God which taketh away the sin of the world.” A worker high in the rafters of the building heard this and became converted to Christ as a result. Susannah Thompson, Spurgeon’s wife, became an invalid at age 33 and could seldom attend her husband’s services after that. Spurgeon insisted that his congregation’s new building, The Metropolitan Tabernacle, employ Greek architecture because the New Testament was written in Greek. This one decision has greatly influenced subsequent church architecture throughout the world. The theme for Spurgeon’s Sunday morning sermon was usually not chosen until Saturday night. The only time that Spurgeon wore clerical garb was when he visited Geneva and preached in Calvin’s pulpit. Spurgeon had two children – twin sons – and both became preachers. Thomas succeeded his father as pastor of the Tabernacle, and Charles, Jr., took charge of the orphanage his father had founded. Occasionally Spurgeon asked members of his congregation not to attend the next Sunday’s service, so that newcomers might find a seat. During one 1879 service, the regular congregation left so that newcomers waiting outside might get in; the building immediately filled again.